428 runners gathered in Falmouth, Cornwall on Sunday to take part in the town’s ‘Run Falmouth’ half marathon, organised by local charity Cornwall Hospice Care. 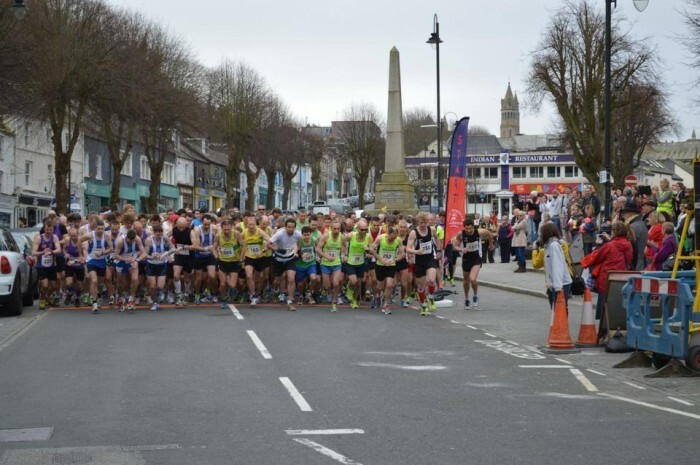 Now in its third year, the race was part of the town’s Spring Festival, and was a guest event in the Cornwall Glass and Glazing Grand Prix Series. 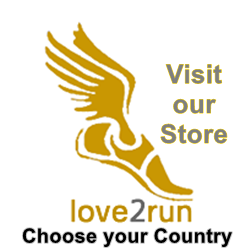 It was well supported by local runners as well as many participants from further up the country. The spring weather stayed fine for the runners to enjoy the stunning Cornish coastal and countyside scenery along the 13.1 mile route, which took in Pendennis Castle, Gyllyngvase Beach, through to Swanpool and Maenporth Beaches. Runners then headed inland to be cheered on as they passed through the villages of Mawnan Smith and Budock Water, before turning back through Penryn and into Falmouth town centre again where they were greeted by well-deserved cheers and refreshments. Michael Birchmore from Newquay Road Runners was first over the finish line for the second year running, in one hour and fifteen minutes which is a new course record. Justin Thomas of Cornwall AC was second and Alex Daniels of Newquay Road Runners was third. The first female over the line was Isobel Wicks from Truro RC who completed the course in 1 hour 28min, followed by Jessica Buscombe of St Austell RC in second, and Joanna Herd of Newquay in third. Rose Wiltshire, from Cornwall Hospice Care, was in charge of the event and said she was delighted with how many people had taken part. She added that the charity had raised £7,000 from Run Falmouth through registration fees alone, with sponsorship money still to come in. “We would really like to thank everyone who supported the race, the Falmouth Road Runners and Falmouth BID & Town Council for allowing it to happen, all of the volunteers and everyone who came out to cheer the runners on,” she said. Click here for results & further details of the 2014 Run Falmouth 1/2 Marathon.